« Roundtable discussion: Habits for success… yes please sir! Our newest guest blogger, Priyanka Bose, offers stories and insights from the perspective of an Edinburgh student currently setting up a business. She’s got an exciting path ahead and we’re delighted to have her onboard. How do you turn an idea into a reality? How do entrepreneurs even come up with ideas? How are companies born? Well, this is how I did it. I was unemployed, the first summer after my freshman year of university, and I couldn’t get a job, anywhere. That’s how it came to me, sitting at my computer one hot, dry day in July, responding to messages on Facebook. It was one message in particular, from a friend in California that really struck out to me. She wanted to know about the application process to universities in the U.K., and I remember thinking, “if only I could turn this into a job?” Well, why not? And that’s when the light bulb went off. According to the IIE (Institute of International Education), the number of students studying abroad has increased by 55% since 1992. While this number only applies to students spending between a semester and a year abroad, if the resources were out there, then why not do it for all four years? I then knew that what I wanted to offer was a unique tutoring service in which I help students from around the world apply to universities in both the U.K. and U.S. But, how to make this service unique? After more research, I realized that all the admissions guidance services available were a) run by people over the age of 30, and b) cost an exorbitant amount of money. Not that I’m ageist, but what do people over the age of 30 know about the real life difficulties of getting into university? After all it has been probably at least ten years since they went through the process themselves, and why is such a service only offered to economically well advantaged students? (Light bulb again.) It had hit me, a clear idea of how to make my service unique – by placing clients with a tutor already studying at their top university of choice and offering hour long consultations at a very affordable price. My thought process had turned into a company and so, College Connection was born. 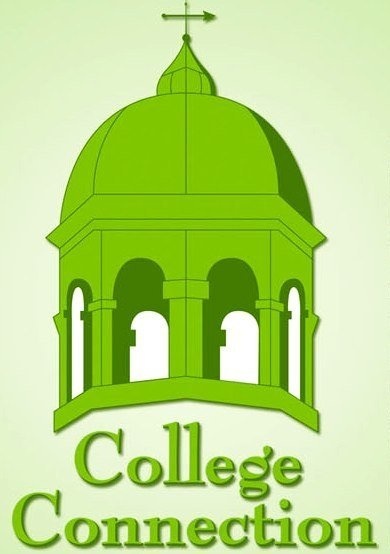 College Connection is the world’s first international, web-based, university admissions tutoring service run by students for students. We aim to maximize our clients’ chances of success when applying to highly selective universities in the U.S and the U.K, such as Oxford, Cambridge and those of the American Ivy League. Our innovative approach focuses on mentorship rather than tutoring. By pairing applicants with mentors studying at their university of choice, applicants are provided with the most up-to-date information regarding the process, as well as an inside look at life at the school of their choice. Now, for my (few) words of wisdom. Becoming an entrepreneur isn’t rocket science, its questioning everything and everyone around you and thinking, “what can I offer that isn’t already out there?” or simply, “how can I turn an idea into a product?” It’s about research; constantly looking up facts and figures about what is already available and how you can differentiate yourself and what you have to offer. Most importantly, it’s about commitment, committing to your idea. The difference between an entrepreneur and someone who just has an idea is that an entrepreneur takes that idea, runs with it, and never looks back. You’re not ageist? Well I’m 28, but I’m sure that I’m not going to miraculously forget about the ‘real life’ difficulties of getting into university in two years time! I hope you’ll look back at that sentence in a few years and cringe. Good article though, and sounds like you’ve got a good idea for a business. Good luck in the future.